This study advocates that universities are prominent driving force behind corporate social responsibility. It highlights the commitment of universities in social responsibility (SR) and civic engagement with special reference to the experience of Ahfad University for Women (AUW) as a model for CSR. The main objective of this study is to develop a better understanding of the roles of universities in social responsibility (SR) and civic engagement (CE) to reveal best practices that can be useful for other universities. The unique evolution of AUW exemplified in its philosophy has created a solid foundation for SR. The study found that university social responsibility (USR) was embedded at the student, faculty and community members level supported by the values and commitment of top management. Universities are crucial and catalyst organizations in identifying and fulfilling the needs and demands of societies in terms of human capital. Thus the role of universities, as social institutions, extends beyond the provision of the immediate educational services. Universities are expected to play a significant role in serving their communities by being socially responsible and actively engaged in a variety of activities that help the communities to strive for development and advancement. 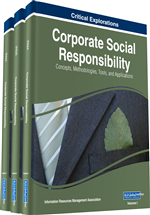 In recent years, particularly in Europe and the USA witnessed a keen interest and publication of variety of research about the concept of corporate social responsibility (CSR) particularly in profit making firms (Meiseberg & Ehrmann, 2012). However, academic institutions in general and in developing countries in particular suffer from scarcity of scientific studies in this emerging important subject. The vast majority of existing studies on CSR (80%) were quantitative in nature (Lockett et al., 2006). This is an exploratory research based on case study methodology. The study adopts an insider, qualitative approach and non-positivistic stance. Yin (2003) illustrated that qualitative techniques offer advantages, which are not likely to be obtained from quantitative methods. The former technique provides the researcher with the opportunity to explore complex problematic phenomena that are difficult to capture having relied on quantitative methods. Ahfad University for Women (AUW) has been chosen because of its unique philosophical framework that includes it both as a community-oriented private as well as a non-profit higher education institution that recognizes a wide scope of collaboration of different stakeholders including UN agencies and NGOs in Sudan. Hence it is considered as an unusual case to study (Yin, 2003). A purposive sample using non-probability sampling techniques was utilized to target key informants with sufficient knowledge in the topic under investigation. Semi-structured interviews were perceived to be the most appropriate method of data collection for this type of study. A number of open-ended questions were designed to guide the interviewees and invite them for in-depth discussion. The authors believe that semi-structured interviews were more likely to generate a better understanding of the CSR phenomena and identify the practices and consequences of its application by AUW. The qualitative data was analyzed by creating concepts and categories around the different components of CSR activities, prevalence and performance outcomes. The objectives of this chapter are two-fold: (a) to discuss the concept of CSR and outline approaches that provide an understanding of the conditions under which academic organizations may be more or less socially and ethically responsible, (b) to develop a better understanding of the CSR practices within AUW. This chapter is an endeavor to investigate the role of universities in contributing to community development by getting involved in activities beyond the academic realm. It argues that there is an ethical dimension underpinning behaving in a socially responsible manner; in other words, academic institutions should do ‘good’ because it is the ‘right’ thing to do. The chapter starts by exhibiting some theoretical aspects about CSR and the contextual factors within which AUW strives for both meeting its social and ethical commitment and academic excellence. Further, the chapter presents the University’s contributions in CSR, followed by recommendations for future research and concluding remarks.